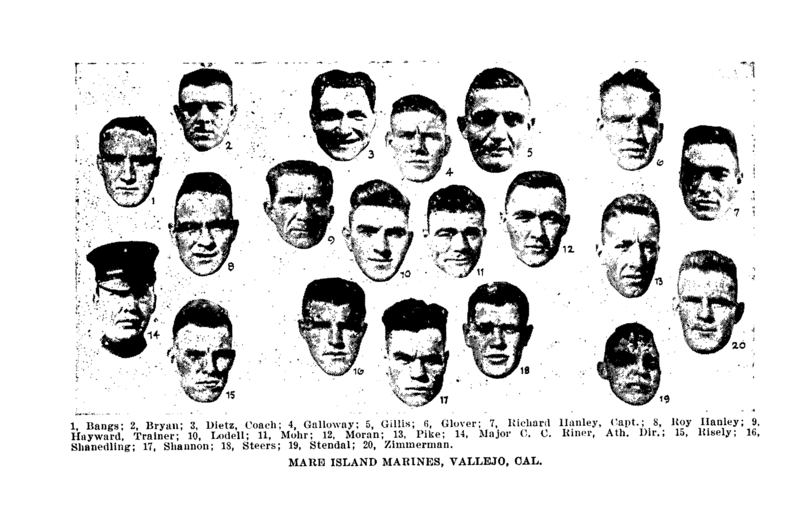 The title of Warner’s 1912 book varies from the title in the advertisement in the 1912 Spalding’s Guide. 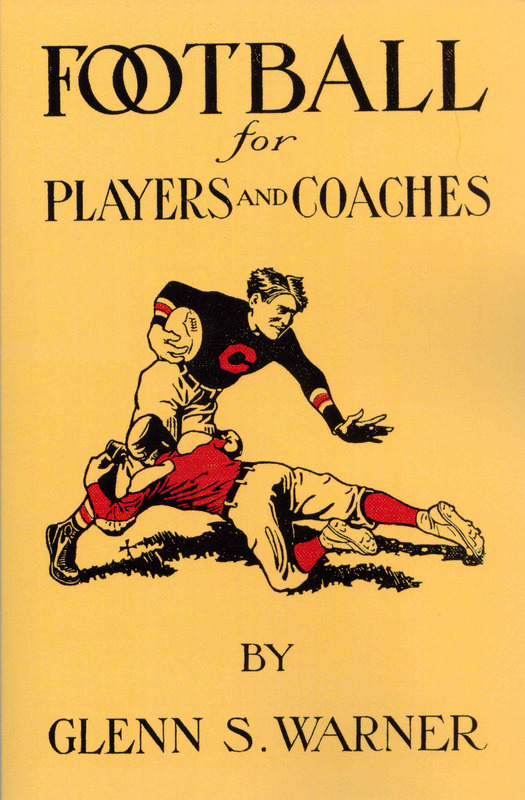 The ad gives the title as Course in Foot Ball for Players and Coaches but the title on the cover of the actual book is Football for Players and Coaches and A Course in Football for Players and Coaches is on the book’s title page. The latter title is surely the book’s complete title, especially because it is so similar to the title of the correspondence course. The title on the cover was probably shortened for artistic purposes and to make it stand out to a shopper in a bookstore because the shortened title could be printed in larger type. Another difference between the ad and the book is that foot ball is two words in the ad and one word in the book, both on the cover and on the title page. That difference was surely Spalding’s choice because they controlled the typesetting of the Spalding’s guides. Spalding apparently chose to use the two word convention both on the guides’ covers and in their interiors. 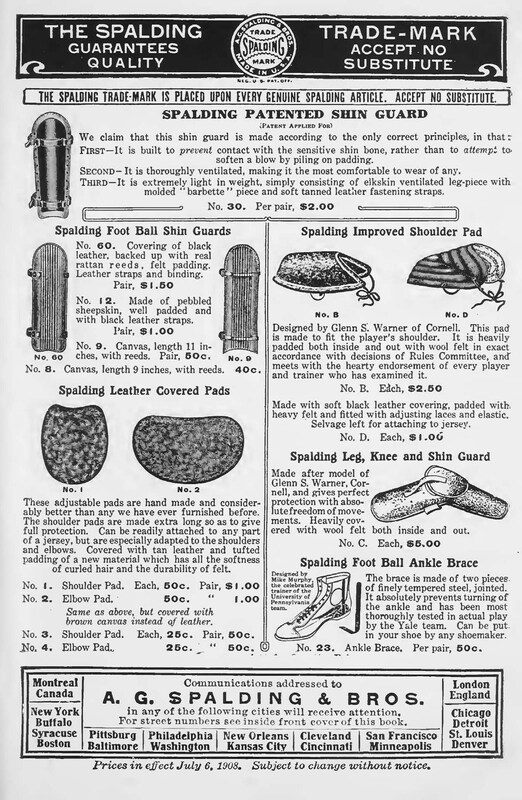 It appears that Pop Warner shifted to the modern convention years earlier than did Spalding because Spalding continued to use foot ball as late as 1919 and, possibly, later. I haven’t bothered to look beyond 1930 yet, but Spalding hadn’t changed to the modern convention then. It is my opinion that the cover art was done by Lone Star Dietz. I say that because the figures look so similar to those in others drawn by Dietz and because Dietz’s symbolic four-pointed star signature can be seen on the grassy area between the runner’s legs. It’s hard to tell who did the interior illustrations as Warner had some artistic talent of his own. As in the 1927 book that Warner and Dietz co-illustrated, I can’t tell whose drawing it is without a signature. 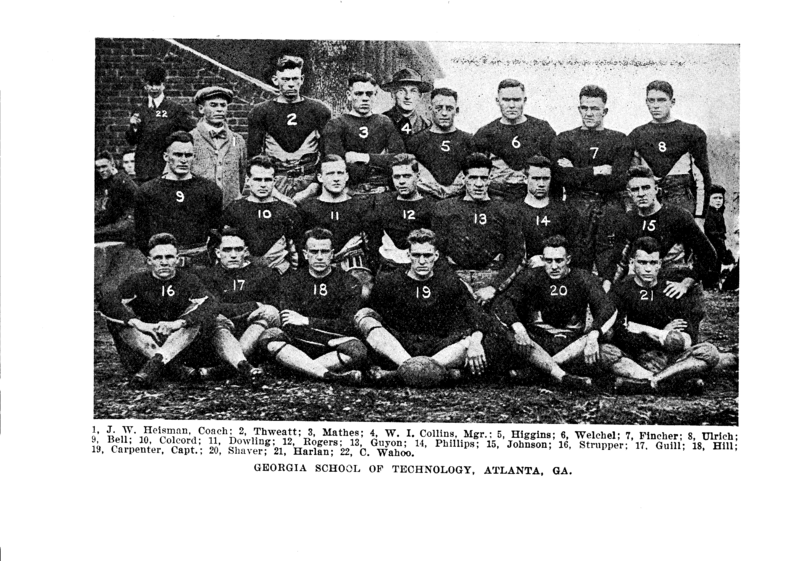 The player in the drawing with the ball is wearing a Carlisle jersey with the distinctive stripes below the elbow.